It’s become customary for a dying Doctor’s companions to have some sort of cameo or brief goodbye. The 10th Doctor had a 20-minute montage where he visited each of his previous companions, and in the 11th Doctor’s final moments, he had a brief vision of his beloved Amy Pond within the TARDIS, with the role being reprised by Karen Gillan. 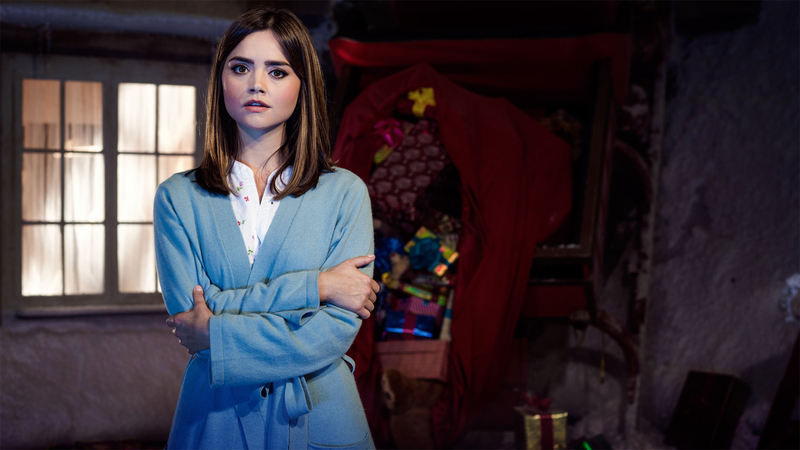 Jenna Coleman as Clara Oswald in 2014's "The Last Christmas." If Clara does have a role in the upcoming Christmas Special, it could be as little as a glorified cameo, which is further complicated by the fact that the Doctor shouldn’t even remember her. At the end of Season 9, the Doctor had his memories of Clara wiped after his devotion to her had grown too dangerous. Then, she flew off in her own diner-shaped TARDIS with Maisie Williams’s Lady Me. But, in a moment from the Season 10 finale, the Doctor seemed to remember Clara in some capacity. After Bill’s goodbye tears seem to trigger the regeneration process in the seemingly dead Doctor, he seemingly remembered several of his past companions calling out to him. There was Martha, Donna, Jack, River, Amy, and even the likes of Jenny and Vastra. Most notably, there was also Clara, who really shouldn’t be there in his memories at all. Whether or not Jenna Coleman will actually reprise the role of Clara Oswald remains to be confirmed, but Eddie’s Diner in Cardiff — the setting used for Clara’s TARDIS — was reportedly booked in April for filming in July (this month). The Doctor Who 2017 Christmas Special will air December 25, with or without Clara.